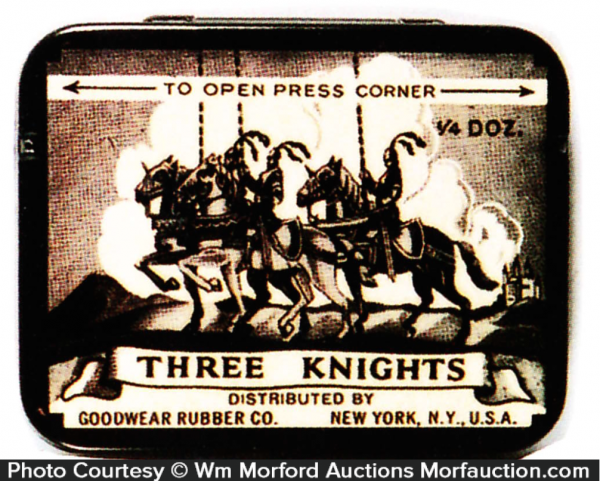 Tin litho Goodwear Rubber Co. condom tin w/ great image of knights on horseback. 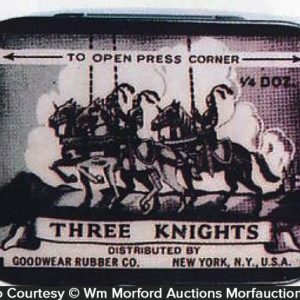 SKU: D4-41. 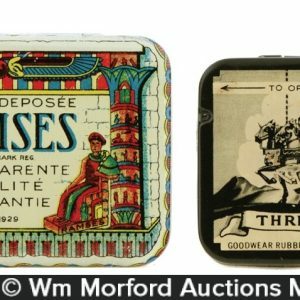 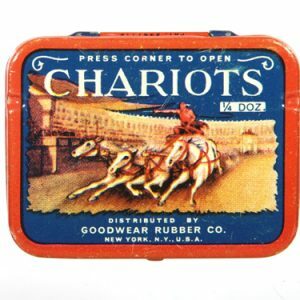 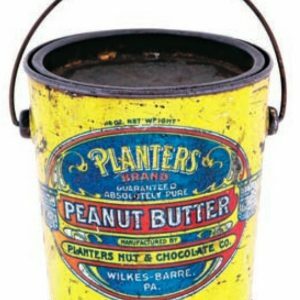 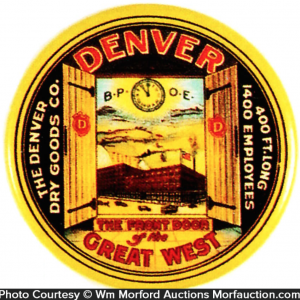 Categories: Antique Condoms, Antique Tins. Company/Brand: Goodwear Rubber Co., Three Knights Prophylactics. 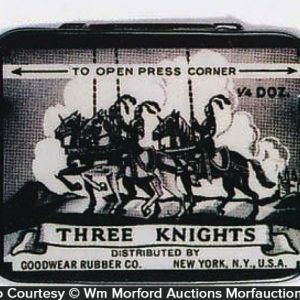 Three Knights Condom Tin: Tin litho Goodwear Rubber Co. condom tin w/ great image of knights on horseback. 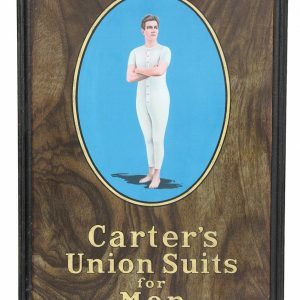 Crisp, near mint condition.